Steve Murrin first conceived “American Biker Lawyer” in the 1990’s when he was still an Assistant District Attorney prosecuting serious felonies. He was prosecuting a drunk driver for killing two motorcyclists and remembers how there seemed to be a lack of empathy for the victims and their loved ones because they were “bikers”. As a biker, he was incensed and thought that everyone, biker or not, should be treated equally. After all, this was AMERICA. Steve thought that if he built a law firm that focused its full attention on assisting downed riders, that he may be able to change negative public sentiment towards bikers, at least in the courthouse. To overcome the prejudice he saw, and assist his brother and sister bikers, a biker Law Firm was born. “American Biker Lawyer”! THE FIRST BIKER LAW FIRM IN GEORGIA. 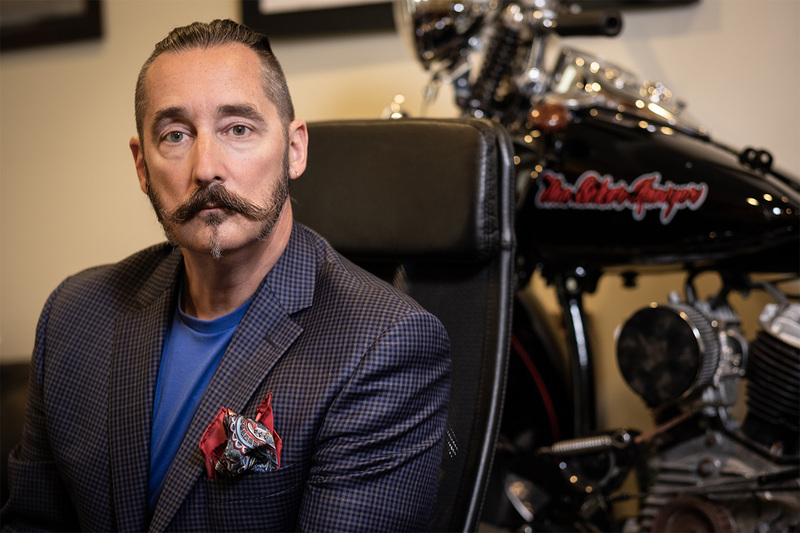 From day 1, Steve’s firm of “Murrin, Wallace and Associates, LLC” has been known by the less formal name of “American Biker Lawyers” to the firm’s clients and the motorcycling public at large. Steve’s Law Firm currently holds the trademark on the name as well as the corporate identity with the Georgia Secretary of State and American Biker Lawyer is a duly registered Georgia corporation, a subsidiary of the Law Firm. The lawyers at the firm are specifically chosen and trained in order to handle the catastrophic injuries inflicted on the biker clientele. The staff is hand picked by Steve to handle motorcycle wreck cases and understands bikers, their lifestyle, their unique needs and the inevitable catastrophic injuries they suffer out on the road at the hands of negligent drivers. The firm handles ALL the biker cases ‘in house’, unlike their competitors, and DOES NOT farm out cases to other firms to do the work. If you need a lawyer to visit you in the hospital if injured on your bike, Steve is the lawyer who comes to your bedside. If you need a trial because the insurance company will not treat you fairly, Steve is the lawyer who sits with you in Court and personally fights for your rights. His backup staff of paralegals, medical experts, accident reconstructionist, medical billing experts and investigators as well as the associate lawyers in his employ give Steve the support he needs to optimize the outcome of your case. American Biker Lawyer is NOT a clearinghouse to push you on another law firm to handle your case for a percentage. It is a full service Biker Law Firm that handles your motorcycle injury case START TO FINISH. Steve and the Law Firm of Murrin, Wallace and Associates, LLC are known as American Biker Lawyers for a reason. They fight for your biker rights and your freedoms that we as Americans deserve and expect and hopefully never take for granted. Ride Free friends!